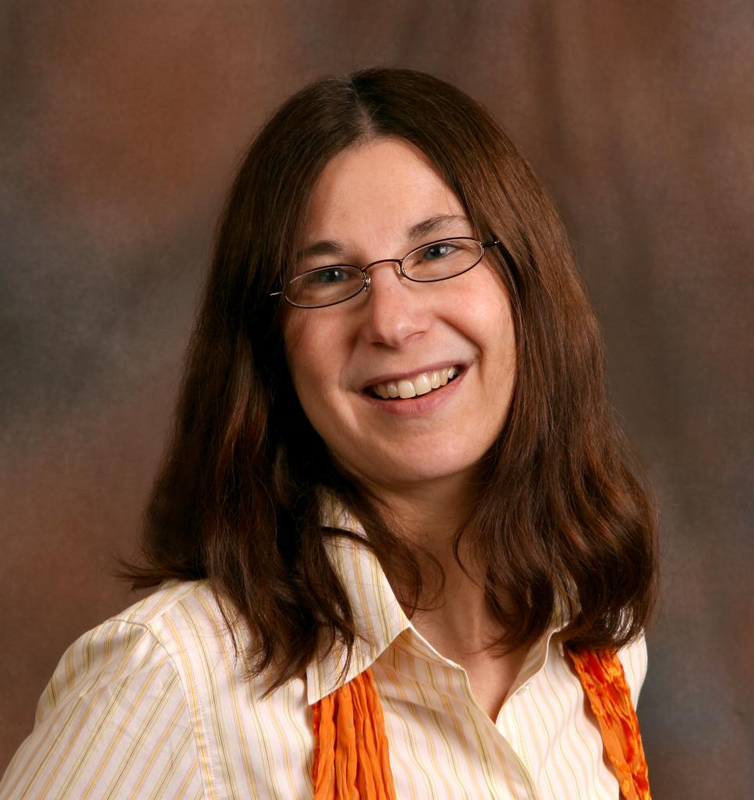 Today, I am happy to introduce a guest post by the marvelous Lyn Miller-Lachmann. (Check out her previous guest post here.) 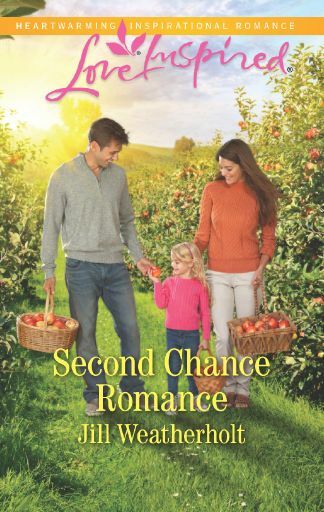 Stick around to the end and I’ll tell you about a giveaway of one of Lyn’s novels. I don’t have a great record for achieving New Year’s Resolutions. The average attainment rate for those pledges to improve one’s fitness/relationships/life is around 20%, and mine may be even lower. But I have a standing resolution, one that I’ve dutifully kept since 2000. I’ve resolved to keep writing and revising my fiction no matter what. My resolution grew out of my decision 10 years earlier to quit. When I graduated from college, I vowed to write the Great American Novel. Ten years later I’d written and extensively revised three entire book manuscripts—one adult and two young adult, after an agent who took me on thought the best characters in my adult manuscript were the teens. She and I parted ways after the next manuscript didn’t sell, and when I self-published it—a novelty at the time—I went through three revisions of a third YA manuscript with an editor at a major house before she backed out citing exasperation at our persistent miscommunication. Having come so close to selling a manuscript, I gave up in despair. I wrote reference books and textbooks for those 10 years in the creative desert, but without creating stories I felt something missing from my life. After finding myself writing my middle school-age son’s creative writing assignments, I decided to try again and this time never to give up. I stripped the core of that first adult novel and turned it into a subplot of an eco-thriller that I wrote and rewrote multiple times until it became my debut novel, Dirt Cheap (Curbstone Press, 2006). Apparently, I’m pretty average in that my fourth full-length novel manuscript became my first published novel. And I needed all those manuscripts, rewritten over and over, to develop my craft. Recently, I’ve read the accounts of debut novelists whose eighth, tenth, or twelfth full manuscript was the first to find a home. These are heartening stories because they show perseverance, dedication, and the truth that at a certain level of craft, publishing is a lottery of having the right book at the right moment, and the more lottery tickets one holds, the better the chance of winning a prize. So when Bad Things happened to me—smaller publishers going out of business, a poor match with a large publisher, unsold manuscript after manuscript—I found myself taking their stories to heart. Rather than quit, I tried new things. 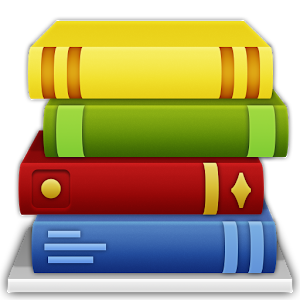 I now have, finished and mostly finished and gone out on submission, two contemporary chapter-book proposals with sample chapters, a full YA contemporary novel, three YA historical novels, and seven picture books. I’ve approached two authors with ideas for collaborations and have just started an own voices picture book for one of those collaborations. In 2018, I completed two-thirds of a draft of my first novel in verse. Before I started it, I’d never realized how much I’d enjoy writing not only the verse novel but also poetry in general. Like my protagonist in the verse novel, I’ve joined a Poetry Club, a group of people who write a poem each week in response to a prompt. Rather than giving up, I’ve resolved to be prolific. The more things I have ready to go out, the more chances I have of hearing the word “yes.” I’ve also looked into self-publishing again. My plan right now is to write. Write the story that speaks to me, the one only I can tell, and tell it with passion and skill. Then worry about what to do with it. As a treat for all of you who’ve read this far, I offer one of the poems I wrote for my Poetry Club in response to a picture prompt that I chose, a photo my daughter, a teacher, took on a family heritage trip to Berlin and Prague. 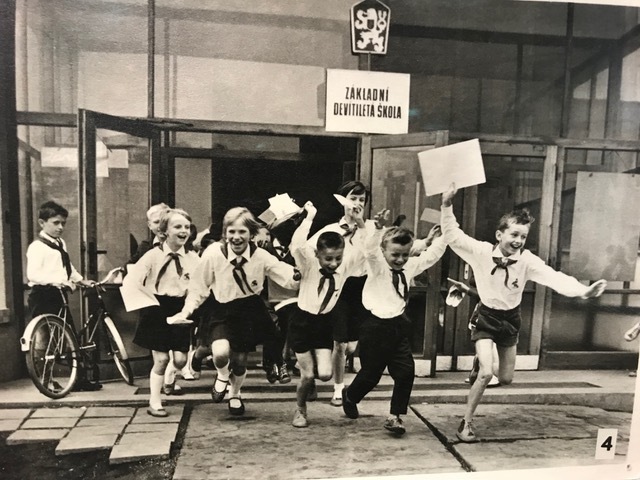 The photo is from an exhibit at the Museum of Communism in Prague, Czech Republic, of the last day of primary school in the 1960s. and the other stays home. and they will save him. Lyn Miller-Lachmann is the author of the eco-thriller Dirt Cheap and three novels for teens—Gringolandia, Surviving Santiago, and Rogue—and a translator from Portuguese and Spanish to English of children’s books, screenplays, poetry, and academic articles. 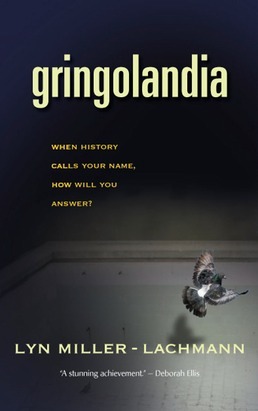 Gringolandia—the story of a refugee teenager from Chile under the Pinochet dictatorship and his relationship with his father, a just-released political prisoner—was an Américas Award Honor Book and selected for the ALA/YALSA Best Books for Young Adults list in 2010. She reviews for The Pirate Tree and blogs on travel, politics, and writing at www.lynmillerlachmann.com. Hi! Me again! (L. Marie, in case you’re wondering.) I’m giving away a copy of Lyn’s adult novel, Dirt Cheap. So it will be dirt cheap for you, since it’s free. Ha ha! I crack myself up. 😀 😁 Anyway, comment below to be entered in the drawing. Winner to be announced on January 14. 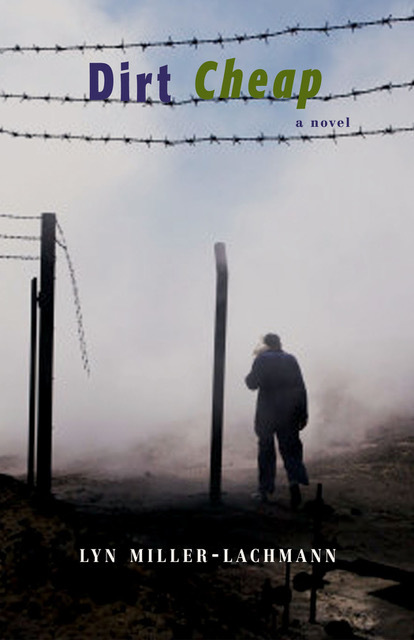 Click here to find a synopsis of Dirt Cheap. Photos courtesy of Lyn Miller-Lachmann. Author photo by Joan Heffler. Book image from somewhere online. Here’s what vampires shouldn’t be: pallid detectives who drink Bloody Marys and work only at night; lovelorn southern gentlemen; anorexic teenage girls; boy-toys with big dewy eyes. What should they be? Killers, honey. Stone killers who never get enough of that tasty Type-A. Bad boys and girls. Hunters. In other words, Midnight America. Red, white and blue, accent on the red. Those vamps got hijacked by a lot of soft-focus romance. I both agree and disagree with Stephen King here because I don’t think anyone can really say that a vampire shouldn’t be something. If it works for the story then that’s what they should be in that world. People seem to take their own preferences for vampires and deem them to be the true standard. Look, I prefer my bloodsuckers monstrous and vicious instead of lovey-dovey stalking a high school. That’s just me though. There’s always been a strange seductive aura around vampires, which the romantic series play up more than the monster side of the extensive mythos. Problems come about in any genre when people step up to say that they should ONLY be done this way because that’s gatekeeping and you lose a lot of potential stories when you go down that route. Now, while my vampire preference is similar to what King talks about, I don’t think his works for every situation. To me, he’s talking about the monster who is terrorizing the heroes and needs to be overcome. Whether it be one or pack, these are the evil and inhuman beasts that lurk in the shadows. If you want a vampire to be the protagonist, then this doesn’t work because they’ll be driven to do evil. Once they begin fighting against their monstrous nature, they start to fall into the previous examples King mentioned. You can’t keep them as the slavering monster or sinister immortal noble that bathes in blood if they’re going to be a good guy. A sacrifice needs to be made to spin the classic monster into something that people can relate to; many times that’s their ferocity. 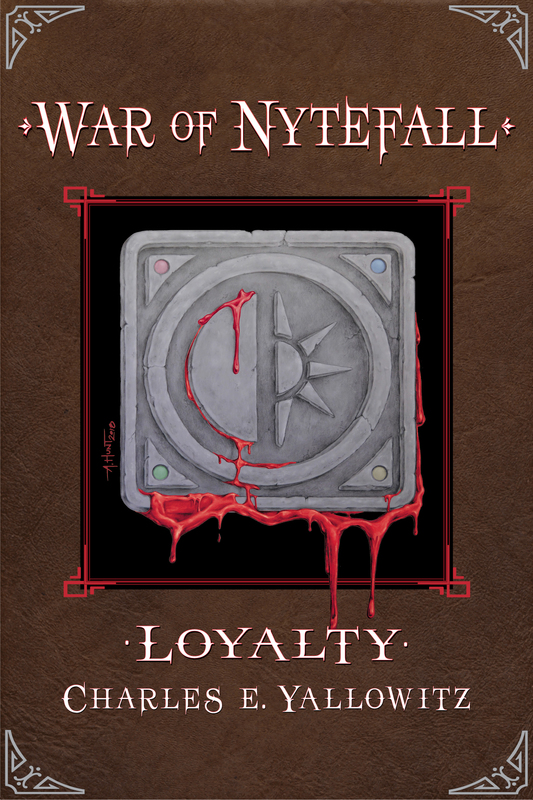 This is something I had to consider for War of Nytefall because it isn’t a story about mortals fending off vampires. It’s about the rise of a new breed of vampire in a world of magic and the vampire civil war that ensues afterwards. Mortals are merely bystanders, meals, and the occasional agent while the main cast consists entirely of immortal bloodsuckers. I couldn’t make the vampires entirely monstrous because I wanted readers to connect and I felt like such creatures wouldn’t have a complicated war. This required that I design two breeds with one being the Old World vampires and the other being the newer Dawn Fangs, which I’ll explain in brief. These are closer to your classic vampires that can’t feed without killing. They can cast spells and hide in cities of darkness. Since this isn’t Earth, I threw out a lot of weaknesses that didn’t make any sense for Windemere. Holy magic is their bane and I went for an older version of the myth where sunlight weakens instead of kills. This is why Old World vampires in Windemere carry night cloaks, which they wear to retain their powers during the day. Doesn’t help against a smite spell to the face, but not much does. These would normally fit into the type that King recommends. These are the vampires that required a lot of work since they are the “heroes.” They’re still monsters, but they can feed without killing, have pulses, are immune to sunlight, and possess powers beyond that of the Old Worlds. In fact, the civil war is started because the Old World vampires are terrified that the stronger Dawn Fangs are going to wipe them out if they don’t strike first. Because they have these advantages, the Dawn Fangs can exist within mortal society too, but I didn’t want to pursue the “romantic” subplots. Instead, I play with the idea that these powerful monsters have actually become more human (or elf or dwarf or whatever they were before turning) instead of less. They’ve retained their viciousness and show signs that they are fighting to control a bloodlust that dwarfs that of their predecessors. Yet, a part of this is because they might be more at the mercy of their emotions than both mortals and Old Worlds. Even so, I can’t say they fall into the desired category that King describes, but I can say they don’t really fit into the previous ones either. One thing I’ve learned with vampires is that the type you use depends entirely on the genre and specific story. I think a big issue for vampires recently is that culture has tried to pigeonhole them into one category and it’s caused a big clash between personal preferences. This is something that an author should consider, but not to the point where they make the social conflict the deciding factor of how they portray these monsters. You can, and should, tailor them to your own needs because they should be more than simply “a vampire,” at least if they’re more than the terrifying monster that has to be overcome, which is more plot device than character. For fifty years, Clyde has remained buried while the rest of the vampires have been battling against their enemies. Only Mab believes that her former partner survived his execution and is determined to bring him back to the city of Nyte. Retrieving the vampiric thief is only the beginning as he comes out of the ground stronger, faster, and demonstrating powers that their kind have never witnessed throughout their ancient history. Thrown into the war, Clyde must be careful to hide his true nature while fighting alongside his old friends. Too bad he is having so much fun that keeping his secret might be furthest from his mind. Author photo courtesy of the author. 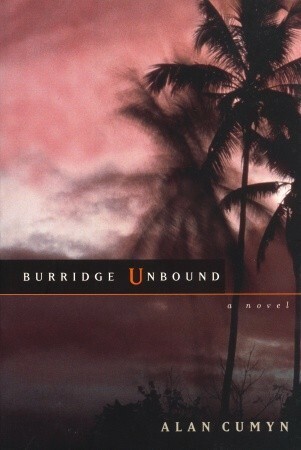 Book cover designed by Alison Hunt. 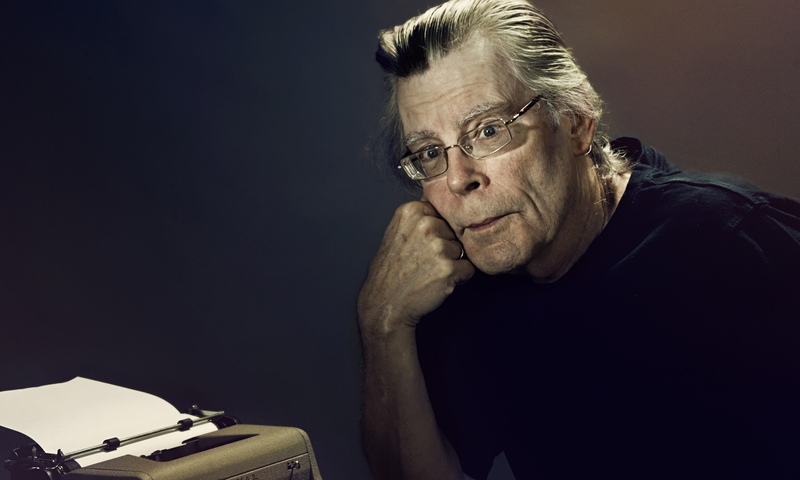 Stephen King photo found at dreadcentral. Vampire trope image from vampires.com. 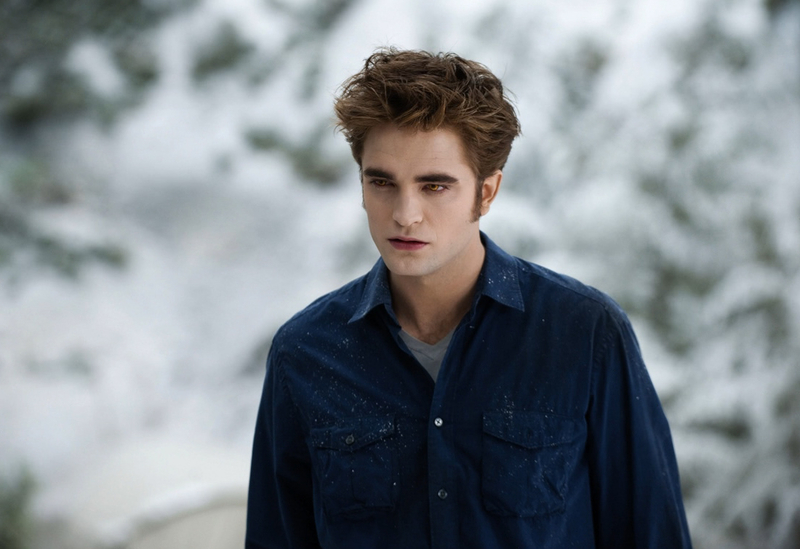 Robert Pattinson as Edward Cullen image from fanpop.com. 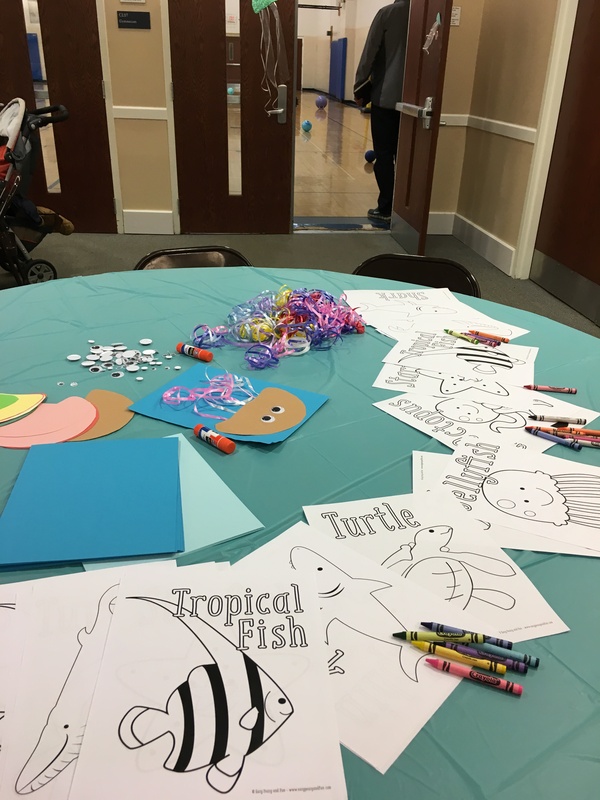 My continuing quest to beckon the lovely took me to the gym of a church this past Saturday, where I helped organize the games for a five-year-old’s birthday party. (If you have no idea what beckoning the lovely means, click here for the post that provides more information.) Picture twenty-one shrieking kids eight years old and under (most around four years old or five years old), racing at top speed across a gym—sometimes colliding with each other—and you’ll know what my day was like. Sorry. I’m just showing photos of decorations. No one gave me permission to show his or her kids on this blog. I know what you’re thinking. You and I are close like that. You’re thinking, How is being in a room with twenty-one children lovely? Well, I’ve mentioned on this blog before that I can’t have biological children. But I appreciate the miracle that is a child. That doesn’t mean I have a Pollyanna view of children. I know kids can be cruel to each other. After all, I was not a nice child. I remember how a friend of mine and I made up a mean song about a girl named Jennifer, whom we didn’t like for some reason. We sang it with gusto in her presence. See? Not a nice kid. Plus, I’ve been around kids all of my life in some capacity or another. I’m related to some, I’ve taught others, babysat them, scolded them, and planned parties for them. Their sense of wonder and their skill at getting on your last nerve are what inspire me to write books for and about them. So, helping out at that party, as tiring as it was, is what I would describe as lovely. 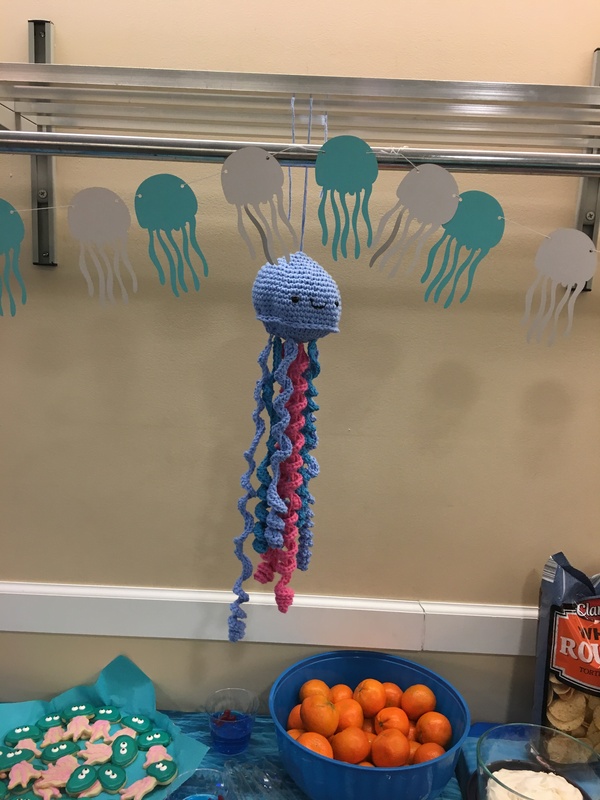 Seeing how much fun the kids had, as well as the dads who courageously allowed groups of small children not necessarily their own to dress them as jellyfish, reminds me of the creative ways adults can be present in the lives of children. Laura, please comment below to confirm. I will then pass along your email address to Jill. Thank you to all who commented! Sweat beading on his face, Top Hog draws his large gun and presses it to the prisoner’s temple. He leans around her, his eyes repeatedly darting toward her hands to make sure they are still bound. Lifting her white shirt, he sees the unique tattoo that the widespread stories mention Cassidy getting a little less than a year ago. The design is two pistols back to back with vines of bone curling around and binding them together. A strange discoloration catches the gang leader’s attention and he rubs his thumb along the woman’s side, pushing his weapon harder against her head to prevent wiggling. He swears that he feels a seam, so he gets a dirty fingernail beneath what turns out to be a flesh-colored sticker. Top Hog yanks it off and shows it to his men, the prisoner biting her lower lip to avoid screaming. He can already see that the tattoo is smeared from where he has touched it with his meaty fingers. Enraged and embarrassed, the gang leader is about to kill the fake Cassidy when he hears distant rock music. Within seconds, he realizes that the source is getting closer and is soon joined by maniacal laughter coming over a crackling megaphone. With a snap of his fingers, Top Hog orders one of his men to take the prisoner to his office while the others run for the exit. Nobody gets very far before a blue jeep, which has been outfitted with a wide battering ram, smashes through the front of the warehouse. The vehicle leaves a gaping hole in the wall, which is made worse by hooked chains on the rear bumper that catch and tear more of the obstacle down. The jeep continues at full speed through crates, shelving units, and the slower gang members whose deaths are celebrated by honks of the horn. Tires screech as the driver hits the brakes and gets the car to spin, the move appearing to have no purpose beyond making those inside dizzy. With an embarrassing thud, the vehicle hits the back wall and hisses to a stop. The gang have already drawn their weapons and are cautiously approaching the jeep when the sunroof opens. Bullets fly at the blonde figure that leaps out, the projectiles creating so many holes that the top half of their target falls off. 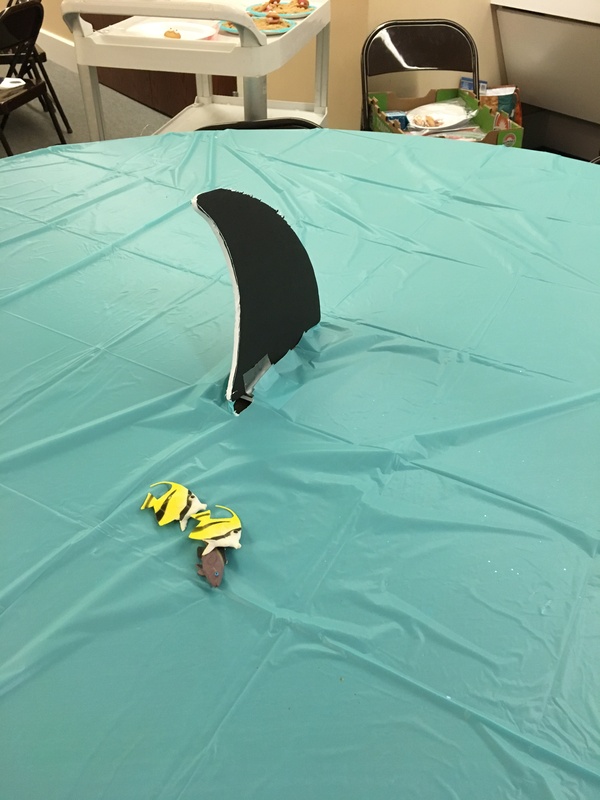 The legs of the cardboard cutout are casually tossed to the floor before the shriek of a megaphone makes everyone cringe and cover their ears. With the tattered remains laying face up, the frustrated criminals realize that they have destroyed another Cassidy decoy. They are about to inch closer when the jeep briefly roars to life and a man inside begins making engine noises. The sounds change to the exaggerated screams and detailed begging of those whose parts are still stuck to the scuffed battering ram. Top Hog and his men turn toward the hole in the wall, which has exposed them to the large parking lot. The sun forces them to squint at the lone figure standing behind a loaded mini-gun, the weapon glinting in the midday light. Clouds move across the sky, which makes it easier for the gang to identify the denim jacket and blonde hair of their enemy. They take a few shots at the distant woman, but their bullets either miss completely or bounce off several riot shields that are strapped to the weapon. A slamming car door causes them to jump, but they turn in the wrong direction and are unable to stop Lloyd from racing toward the prisoner. Wearing orange pants from his time as a prisoner and a red shirt with a lightning bolt, the black-haired serial killer seems like an obvious target as he scoops up the young woman and dives behind a box of grenades. Suddenly afraid for their lives, Top Hog and his men attempt to scatter and hunt for cover. “I hate moving targets,” Cassidy growls. “Something” or “Nothing”: What Do You Mean? 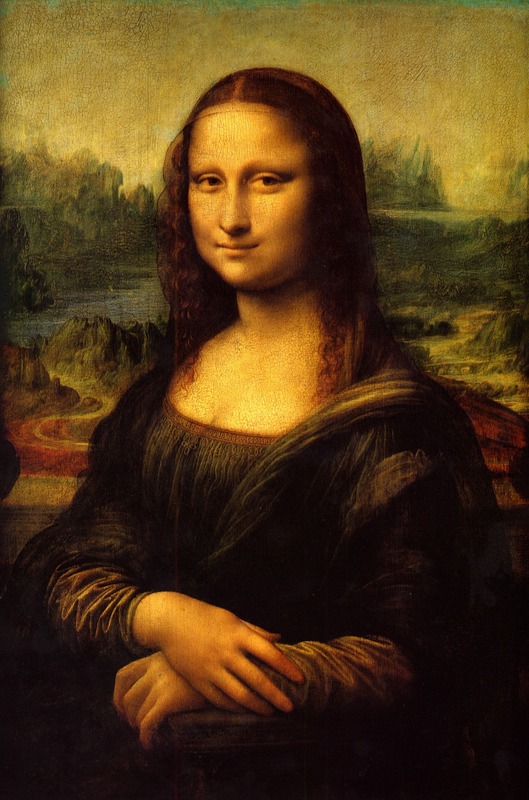 Back when I first began writing curriculum—da Vinci was still at the sketch stage of the Mona Lisa at the time—supervisors told my fellow co-workers and me to make our lessons engaging and fun. Though we saw the merit in lessons fitting that description, this sort of feedback frustrated my coworkers and me, because both terms are subjective, rather than measurable. What’s fun or engaging to one person might not be the same to another. But I gave it a shot. Sometimes I reached the target. Sometimes I didn’t. That feedback returned to my mind as I read a recent review of a young adult novel. Sorry. I don’t plan to divulge the name of the book or the reviewer. (Hint: The book was not written by anyone I know nor reviewed by anyone I know.) Her review interested me, because she spent the whole post explaining why she did not finish the book. Her biggest complaint was that nothing happened. How many times have you said the same thing about a book or a movie? I know I’ve said that phrase dozens of times. But now that I think about it, what does “nothing” really mean in this context? “Nothing that engaged me?” “A lack of good action and tension”? “I was bored”? It’s really subjective, isn’t it? I struggle with filling in the blanks. Do you ever ask yourself, What is the “something” that should have happened? Depends on the story, right? We might define “something” as “an event that moves the plot forward”; “exciting action”; “a scene that made me laugh”; “realistic dialogue that made the characters come alive”; or in other ways. 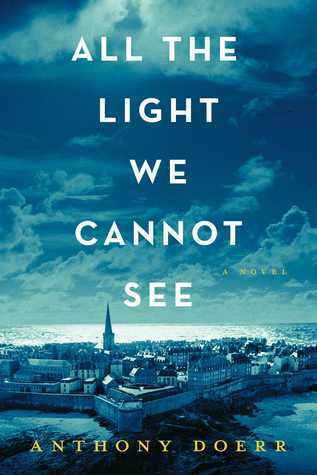 I’m reminded of All the Light We Cannot See by Anthony Doerr. Doerr spent three whole paragraphs talking about discoveries one of the main characters—Marie-Laure—made in the drawers of a cabinet. Drawers. In. A. Cabinet. Would you categorize that scene as “nothing happening”? Yet I was mesmerized by those paragraphs. Many other people probably felt the same way, because this book is a best-seller, a National Book Award finalist (click on the award to watch Doerr read a chapter of this book), and a Pulitzer Prize winner. We can credit Doerr’s magical prose. But some of the “zing” that makes this scene “something” as opposed to “nothing” is due to the imagination of the reader. Doerr invites us to come along on Marie-Laure’s journey of discovery. Oh, did I mention that this girl is blind? That’s not a spoiler. The book jacket tells you that much. We see what she can only “see” through touch. I’m tempted to quote lines from that scene. But I won’t. I’m not trying to be obstinate, honest. As I mentioned, I was mesmerized. You might not feel that way, however. Some of the people who commented on an article I read recently on Doerr’s prose had a negative view of his work. But if you are curious about which scene I mean and want to decide for yourself whether or not it has that certain “something,” you can find it on pages 29-30 in the hardback. Engaging. Fun. Nothing. Some aspects are purely subjective. But when offering feedback, the more specific and measurable one is, the better. When you begin creating a course, you want to design with the end in mind. The best way to approach this is to start by writing measurable, learning objectives. Effective learning objectives use action verbs to describe what you want your students to be able to do by the end of the course or unit. “What you want your students to be able to do.” So, measurable feedback at the manuscript stage helps an author know what it is you want him or her to “be able to do”; in other words, to effectively fix his/her manuscript. Yeah, I know. Telling someone, “Nothing is happening,” is easier than saying, “This scene feels static to me, because Angela is passive, rather than active” or “This scene does not advance the plot. Perhaps you could take the character to the next threshold quicker.” But such feedback gives the author a more specific idea of the “something” you have in mind. Some people are better able to gauge what nothing happened means. Not me. I need people to spell out what they mean. And I hope I can make the effort to provide clarity for someone else too. Smith, Tracy. “Writing Measurable Learning Objectives.” TeachOnline. Arizona State University, 02 July 2012. Web. 13 June 2015. Welcome to the blog. 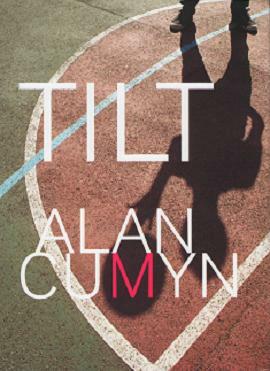 Today, it is my privilege to talk with the awesome Alan Cumyn, one of the faculty members at Vermont College of Fine Arts, and an award-winning novelist. Alan has written eleven novels for a variety of ages. 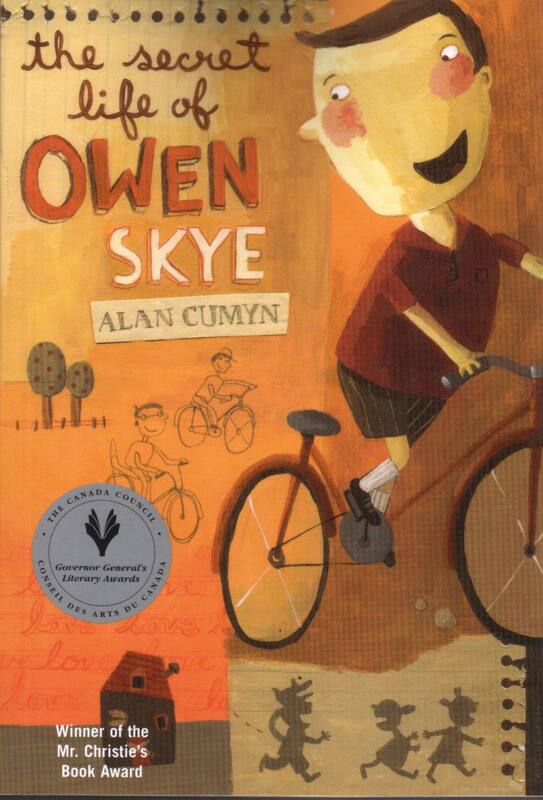 He’s won awards like the Ottawa Book Award and Mr. Christie’s Book Award for children’s literature, and has been short listed for awards like the Giller Prize, the Trillium Award, and many others. Cool, huh? He’s here to talk about his latest novel, All Night. I’ll be giving away three copies of it. But before I get to that, let’s talk to Alan, shall we? Alan: (1) I have studied and practiced tai chi, a slow-motion Chinese martial art and moving meditation, for nearly 30 years. It starts my day, helps me keep my focus when a lot is going on. (2) I live four blocks from my old high school in Ottawa, Canada, but have also lived in many other places, including China and Indonesia. 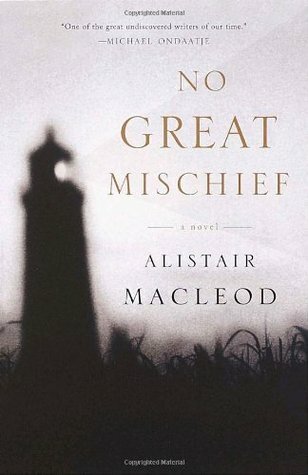 (3) When I was 24, I did a Master of Creative Writing under Alistair MacLeod, who would go on to win one of the world’s richest literary prizes for his novel No Great Mischief. (4) I am surrounded by writers, actors, and artists. 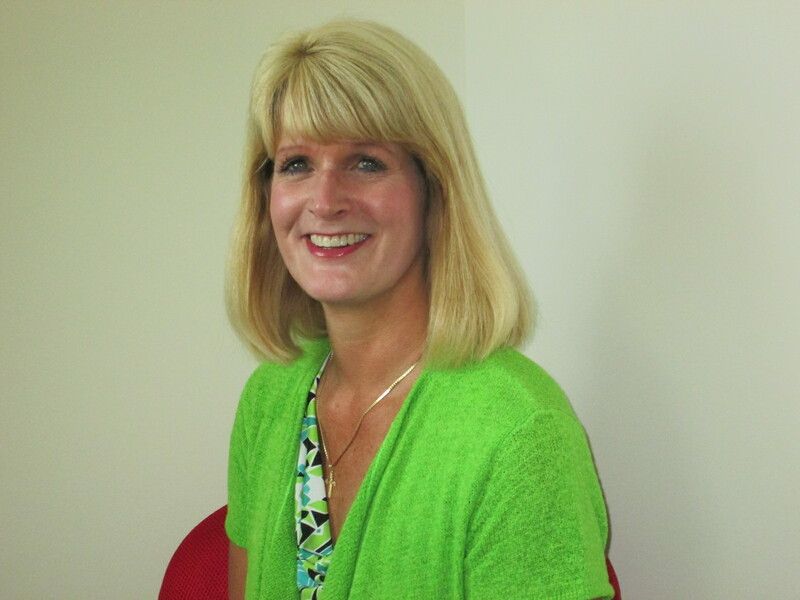 My wife, Suzanne Evans, is a nonfiction writer particularly interested in women and war. My older brother, Richard, writes mainly short stories; my younger brother Steve is a professional actor, as is my daughter, Gwen; and both my mother, Suzanne, and my other daughter, Anna, are talented painters. El Space: Your latest book, All Night, was written as a literacy project. How did that come about? Alan: My eldest daughter, Gwen Cumyn, graduated from theater school a few years ago into an uncertain life as an actor. Her partner, Colin Munch, is an improv comedian. As a graduation gift I decided to write a one-act play about a similar couple struggling through a difficult night after a dear friend has suddenly died. The play is a romantic comedy showing the couple coming to grips with economic realities, the limitations of dreams, and the power of their own love. I got to spend a week in Toronto workshopping the play with Gwen and Colin in the lead roles, directed by Kat Sandler, a talented young director. We are still figuring out the best way to present this material to audiences. 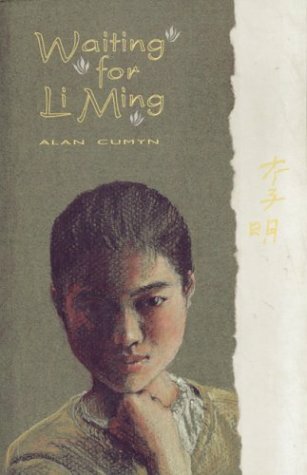 In the meantime, I was contacted by Laurel Boone, who edited my first novel in 1993, Waiting for Li Ming, which I wrote after spending a year teaching in China. Laurel was editing a series of novellas called Good Reads in which prominent authors were asked to write short, plain-language novels for adults who are learning to read. I decided to adapt the play, and that’s how the book was born. El Space: You’ve written books for children, teens, and adults. What are the challenges in toggling between the age levels? 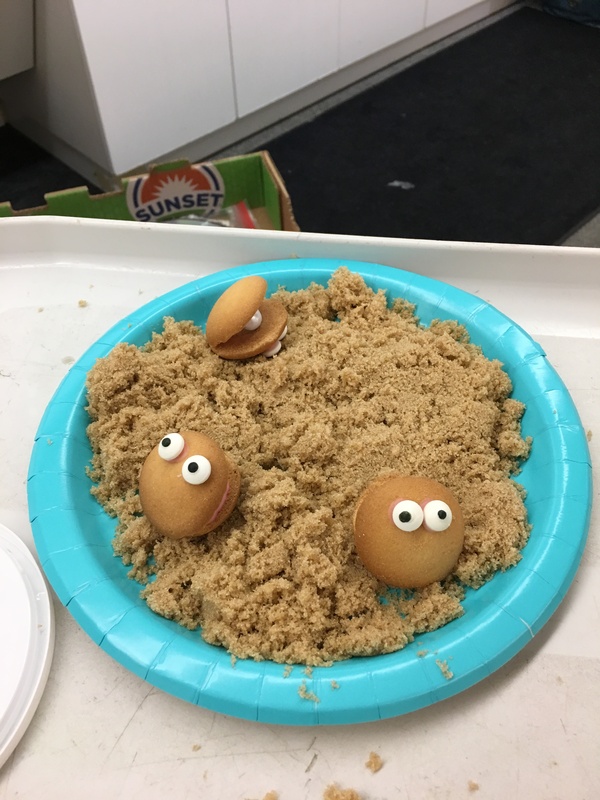 Alan: I started my career as very much an adult writer, and only turned to writing for younger audiences after having my own kids and being reintroduced to the wonders of children’s literature. Some of my novels for adults are dark and intense, and I literally needed a break—I needed to work on something light and funny. That’s how The Secret Life of Owen Skye came about—as a series of stories written for my own daughters as Christmas or birthday presents, and later adapted into linked stories for publication. I’m interested in a lot of different issues and material—there’s so much in life to write about! So I try not to repeat myself in books, and I really like the feeling of switching gears, of moving from one type of book to something quite different. So in choosing which project to work on next, I think of my own energy level and the next sort of challenge I want to take on. El Space: I read this article on Guy Gavriel Kay, who talked about the theme of exile in his books. What theme, if any, can you see running through your novels? 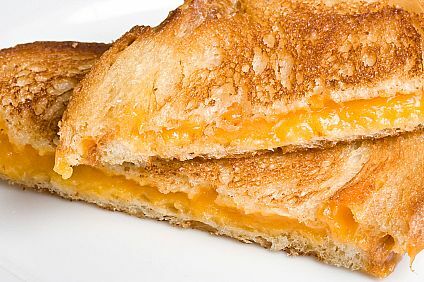 El Space: In two lectures at VCFA, you quoted some advice from one of your writing professors about remembering the “cheese sandwich” in regard to story—how a reader might walk away from a story if she’s not captivated. In both lectures you talked about connection. How can a writer aid a reader’s connection to his/her story? Alan: My writing professor, Alistair MacLeod, an irrepressible storyteller, often used to round out his advice to writers by saying, “If you don’t do it right, if you don’t nail the reader to the page, then she will put down your book, wander into the kitchen and make herself a cheese sandwich . . . and never come back!” The idea is that readers are so easily distracted that even processed cheese food will be too much competition for writing that doesn’t quite work. I like fiction that works in all the major ways—that is about interesting people who find themselves in odd and trying situations, and are honestly seeking a way through. We do need to connect to those characters, to care about them, and readers do need to feel like they really are in partnership with the author—it is “their” book, too. And that often means not explaining everything, leaving lots of room for the reader’s imagination. El Space: You’re off to be a writer-in-residence at Mount Royal University in Calgary and elsewhere. For me, writer-in-residence always conjures up the image of a writer sitting in an office with a window and everyone staring at him or her and murmuring, “He’s/She’s writing” in an awed voice. But what are the responsibilities of being a writer-in-residence? Alan: The responsibilities of a writer-in-residence can vary greatly depending on the setup. At Mount Royal University in Calgary I will be spending a fair amount of time in classrooms speaking with creative writing students and in office time meeting students and other writers from the university one-on-one. I will only be there for a week, and I’m not expecting to get much of my own writing done! But I will be at Berton House in Dawson City, Yukon, for three months—from April through June 2014. As writer-in-residence my only official duties will be to give a public reading in Dawson, and another in Whitehorse. I expect I will have lots of other public interactions, both official and unofficial, but mainly the idea is that I have time, money, and a space to do my own writing away from my regular life. How heavenly! El Space: What are you working on now? Alan: I am working on a new young adult novel that I don’t talk about publicly yet, but hopefully soon. Looking for Alan? You can find him at his website, Facebook, and Twitter. 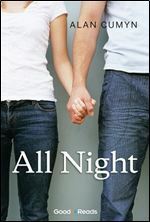 But three of you will win a Kindle version of All Night. Just comment below! Winners to be announced on Friday, February 7. Cheese sandwich image from simplerecipes.net. 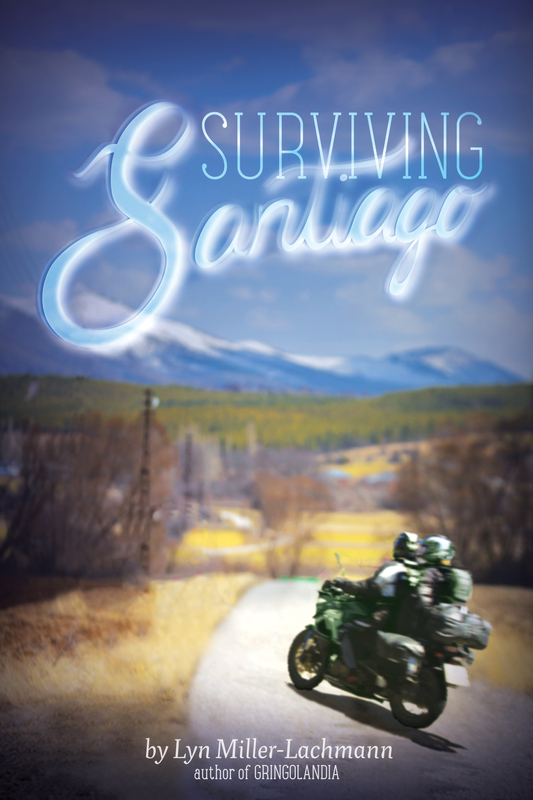 Book covers from Alan’s website and Goodreads. 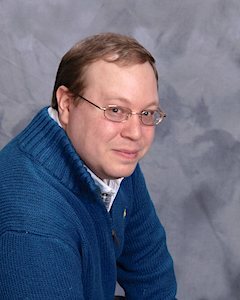 Photo of Alan is from his website.